Tenerife Shipyards (Hidramar Group), the Spanish company located in the Canary Islands and specialised in the Oil and Gas Industry, requested Seaplace to perform the engineering works for the upgrading of an existing drillship that belongs to a well-known American company. The scope of these works consists of the installation of a 2nd BOP (Blow Out Preventer) and an MPD module (Managed Pressure Drilling). One of the biggest challenges faced by the Shipyard was the limited project schedule, only four months. Both Tenerife Shipyards and Seaplace joined their forces to develop all the engineering works and the ABS Classification Society approval documentation on time. Seaplace’s scope of work for this project included the steel and piping list of materials, with quantities and types (MTOs). It also included the approval basic engineering of the structure and piping disciplines, which required several FE (Finite Element) analyses and high-pressure piping studies. 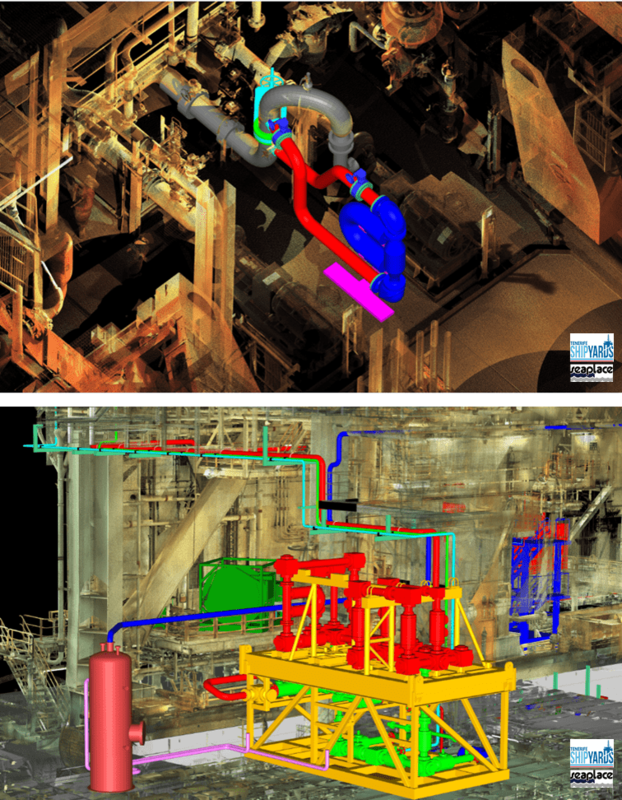 After the basic engineering stage, Seaplace developed the so-called “reverse engineering works”, which make use of 3D scanning techniques to recreate the Unit in three dimensions and simplifies the detail piping design. The project developed by Tenerife Shipyards was a success, delivering the Unit on time and achieving the Client final satisfaction.